2009 Mercedes-Benz with body kit, CD player, rear wheel drive. White with black interior. 2008 Mercedes-Benz CLK 63 AMG with Power windows, 17″ wheels and Air conditioning. Price reduced! This is a black coupe with black inside and power locks, power windows and 18″ wheels. Kareem - Pre owned import CLK 320 is a sensational drive. Even though I wanted to buy a CLK55 AMG, the 320 gets the job done. It may have two fewer cylinders, but it’s still quick. I’m considering to export the car back to my home country when I leave the UAE. Cons: Price in higher trim. Badar - Used CLK 250, great car for Dubai, good air conditioning, comfortable seats, stands out from the rest and affordable price Occasionally handling can be quite the handful but it apart from that, I highly recommend it. Cons: Not the best handling. Tariq - My second hand CLK 63 AMG is an absolute beast, sounds so good and has the looks to match. Options inside are also top notch and would recommend people buy this car. Pros: Powerful engine and it’s quick. Cons: Getting in the back is a pain. They have a rich history in motorsports in turn giving the street legal models added benefits when stacking up against rivals. One of the most incredible vehicles to roll out of the Mercedes Benz factory is part of the CLK class, none other than the mouth watering CLK GTR. Choices are always welcome, and Mercedes-Benz offers two door cars in both coupe and convertible form and there are plenty of used Mercedes CLK for sale in Dubai, UAE. As with all Mercedes, they may all look the same in the CLK range, but a multitude of engines can be found underneath the bonnet. Not just a variety of engines but a range of limited editions such as the Black Series and DTM Edition. In 1997, these cars rolled off the production line with a convertible roof or closed roof. 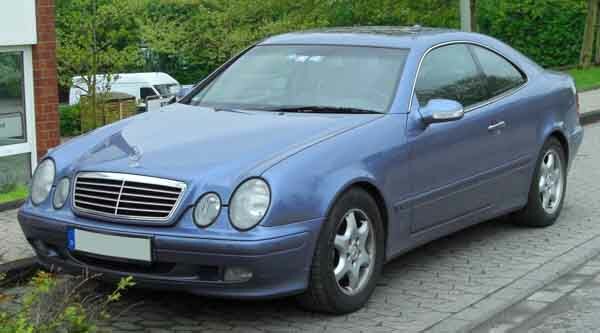 Entering a niche market, CLK Class cars were based on the E-Class and had the underpinnings of a C-Class, they served as the German’s manufacturers mid-level luxury sports car to compete against the Audi A5, BMW 3-Series and Infiniti G37. Luxury is present inside and out. 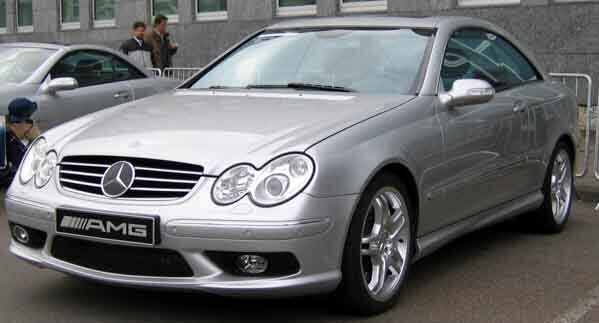 However, 2009 saw the last one roll out of the factory and was replaced by the E-Class coupes and cabriolets. After testing the waters with the C-Class, Mercedes unveiled their CLK-Class. With a familiar design on both the inside and outside of the cars, the coupe versions were the first to arrive. Basic options include power accessories, fabric interior, radio/tuner and four seats. Additional options include power seats, cruise control, CD player, Bluetooth, leather, parking sensors and a sunroof for coupe models. 2001 and later models received a facelift adding a more upright grille and headlights. CLK 200, CLK 230 and CLK 320 were the first three models available. Powered by a 2.0 and 2.3-litre four-cylinder motor and a 3.2-litre V6 engine. Later on, CLK 430 and CLK 55 AMG models were drafted in with a V8 powerplant and a displacement of 4.3 or 5.5-litres. The 1998 line up included the epic Mercedes CLK GTR. Equipped with a 6.9-litre 12-cylinder petrol motor with an output of 604 horsepower. Drive is sent to the rear wheels via 6-speed sequential gearbox, 0-100 km/h is achieved in just 3.8 seconds and the CLK GTR reached a top speed of 344 km/h. 35 units were built between 98 and 99, 26 of those units are street legal giveing these cars a legendary status and a rarely seen let alone sold. Out of the 26, 20 are coupe style whereas the other six are roadster models. All were built in left hand drive bar one, and standard options include premium leather seats, CD player, traction control and a few other creature comforts. Prices start at AED 10,500. Coupe models entered their second generation in 2002 whereas convertible models transitioned in 2004. Once again they followed the C-Class styling with a revised interior and exterior. This generation has a 61mm longer wheelbase, 18 mm wider and 28 mm taller than before. New trim levels were added; ‘Elegance’ which proved more luxury and ‘Avantgarde’ is sportier. Both have unique interior options such as trim colours and 18-inch alloys. Standard features and additional options were identical to previous models. Most models returned with slightly different engines powering them. CLK 200 have 1.8-litre four-cylinder motor, CLK 320 models retained their 3.2-litre V6, CLK 350 models have a 3.5-litre V6, CLK 500, CLK 550 and CLK55 AMG all have V8’s with 5.0, 5.5 and 5.4-litre displacements. All came in Coupe and Convertible body types. Filling in the void of the CLK GTR is the CLK 63 AMG. With its naturally aspirated V8 6.2-litre petrol motor, 481 horsepower is generated and sent to the rear wheels via seven speed automatic transmission. It may not have filled all of the gap but it did come with leather upholstery, navigation, cruise control, Bluetooth and optional parking sensors and rearview camera. On top of that a CLK 63 AMG Black Series is available. With reworked exterior which resembles a race car, xenon headlights, racing seats, cruise control and a roll cage were fitted as standard. It weighed in slightly heavier than standard models, however, with a tuned 6.2-litre V8 motor 507 horsepower is generated and sent to the rear wheels. 0-100 km/h is achieved in 4.3 seconds. As the CLK also raced in the DTM series, a special edition CLK DTM AMG hit the streets with only 180 models produced. A race car inspired body kit is slapped on top of a reworked chassis. Available in both coupe and cabrio body styles, standard options include leather seats, Bluetooth, racing seats, plaque that states which number the vehicle is and other features from top of the range CLK’s. Power is generated via a 5.4-litre V8 supercharged motor, 582 horsepower is sent to the rear wheels.